This comprehensive 2 day course has been designed for the average shooter up to the experienced long range marksman. 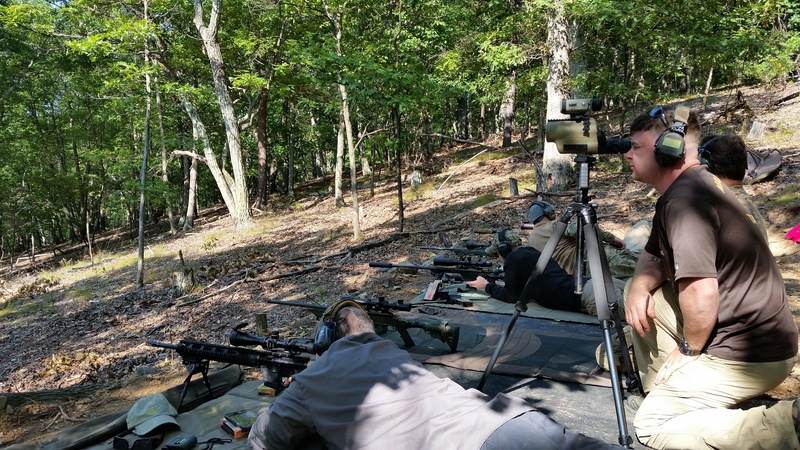 We employ the most advanced approaches to long range marksmanship currently in use by the Military, Law Enforcement, and Long Range Competition. 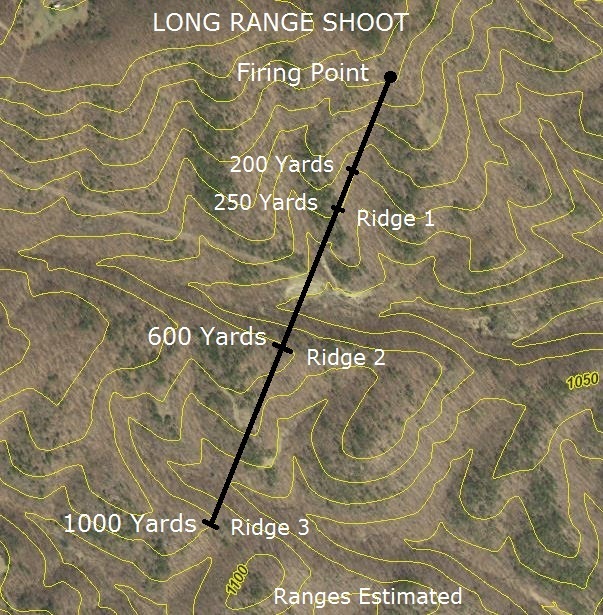 Held at the MVT Training site, LRMS encompasses the full spectrum of West Virginia topography with targets located over 3 ridge lines out to 1000 yards. This environment creates a rich learning atmosphere for any ability level. calculator, properly use their chosen scope and reticles, estimate range, estimate and adjust for wind, and have working data for target engagements out to 1000 yards. The Primary Instructor is John (link to cadre page). 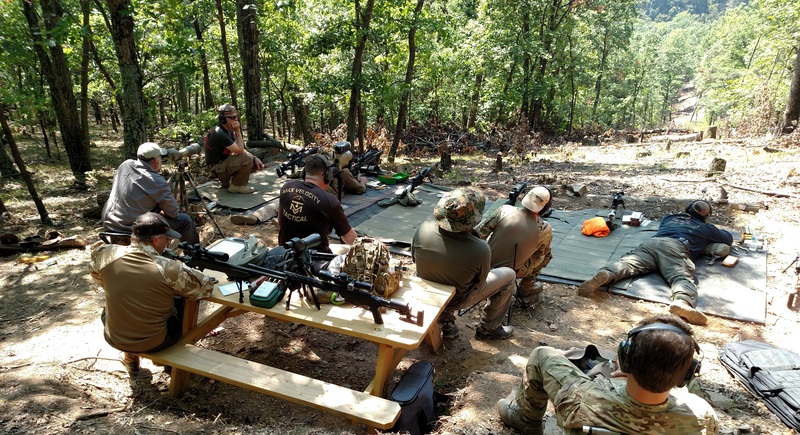 John is an experienced long range shooter and instructor with 10 years of active duty military experience as a Sniper, Sniper Section Sergeant, and Infantry Platoon Sergeant. 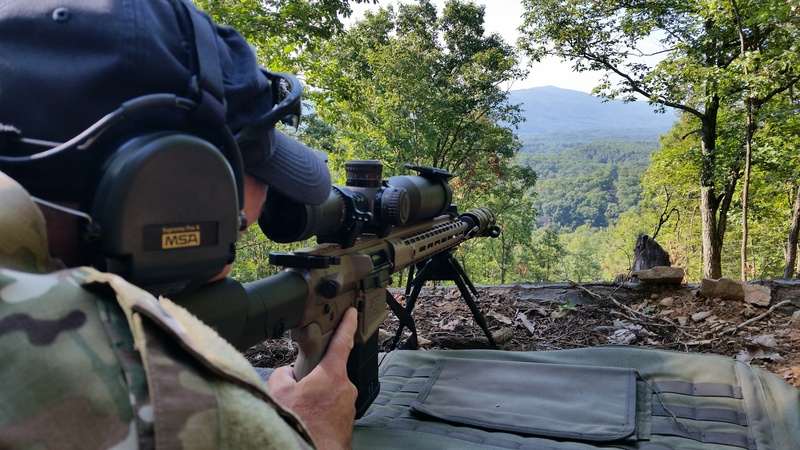 He graduated the United States Army Sniper School in 2011 and has been selected to represent the United States Army, and the 10th Mountain Division in numerous competitions as both a competitor and coach. To include the 2017 US Army International Sniper Competition, 2016 US Army FORSCOM Small Arms Competition, and the 2012 Australian Skill At Arms Meeting (ASAAM). John has spent over 29 months deployed to Iraq and Afghanistan, conducting a multitude of mission sets to include Long Range Target Interdiction. In 2014 he was selected to augment 3rd Special Forces Group where he earned a Bronze Star with Valor. In 2012 he was charged with running the first ISAF Sniper Introduction Course for the Afghan Commandos and has mentored multiple NATO Special Forces units in Sniper tactics and Long Range Precision. John is a dedicated and motivated instructor, using his knowledge and combat experience to personally connect with each student at MVT. Rifle capable of shooting Sub-MOA at 100m and reaching out to 1000 yards with consistency (.243 or higher caliber preferred). Note: AR-15 variants will be allowed to be used, but are not recommended due to their inability to hit 600+ yard targets consistently. If this happens continuously during the course we will adjust the targeting to fit your rifles actual capability. 150 - 200 rounds of Match Grade Ammunition. 10x Magnification or greater scope with a functional reticle system, BDC’s are allowed but not preferred, you will get the most out of this class with a Scope that has turret systems that allow you to dial in MOA or MIL. All of the proper tools to adjust your scope, both turrets and mount. Note: We will have some on hand but DO NOT RELY ON THIS, there are literally thousands of different designs and manufactures out there. Discounts: Founding Alumni (FA) discounts do not apply to this class. Cabin Club discounts do apply.